Remanufactured HP Ink Cartridge, Black, 200 page yield. Replaces HP part number: HP 74, CB335W, CB335WN, CB335WN#140. 9 out of 9 (100.00%) customers would recommend this product to a friend. Very good product. Liked everything. I will let all my friends know about buying ink online you can really save a lot for the same thing. These cartridges have been great for me. They are much cheaper than the name brands and the quality is good. Hp ink for printer I have is impossible to find,if found, so(!!) expensive! I found this site, extremely great price. This is my 2nd order. I'd recommend to anyone, if I knew anyone looking. Also, got here with in the 4 day mailing time. So easy. Prints fine - did the certificates for my students. These cartridges worked great in my HP printer. Now I'm good to go again. They came quickly and I had no trouble installing them. My being your customer since 2013, that proves your company supplies my printer needs. Should I be needing other related products, you are assured you got my business. I am soooo very happy with my purchase. Cartridges are less than HALF of what I was paying elsewhere. Great economical option to the OEM toner. 5 star, I would recommend 100% to my friends. Remanufactured HP Ink Cartridge, Tricolor, 170 page yield. Single cartridge contains Cyan, Magenta, and Yellow ink. Replaces HP part number: HP 75, CB337W, CB337WN, CB337WN#140. Remanufactured HP Ink Cartridge, Tricolor, High Capacity 520 page yield. Single cartridge contains Cyan, Magenta, and Yellow ink. Replaces HP part number: HP 75XL, CB338W, CB338WN, CB338WN#140. 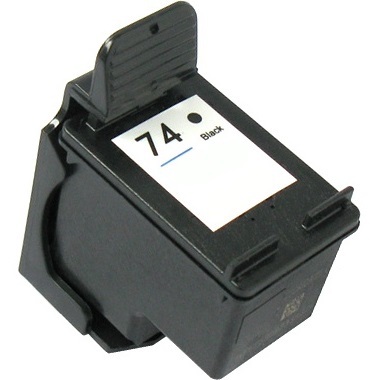 Remanufactured HP Ink Cartridge, Black, High Capacity 750 page yield. Replaces HP part number: HP 74XL, CB336W, CB336WN, CB336WN#140. Remanufactured HP Ink Cartridge, Photo Color, 130 page yield. Single cartridge contains Light Cyan, Light Magenta, and Black ink Page yield of 130 based on 4''x 6'' color photos. Photo Cartridge replaces Black Cartridge when printing photos. Replaces HP part number: HP 99, C9369W, C9369WN, C9369WN#140. Remanufactured HP Ink Cartridge, Photo Gray, 80 page yield. Page yield of 80 based on 4''x 6'' black and white photos. Replaces HP part number: HP 100, C9368A, C9368AN, C9368AN#140.